Heavy duty plastic pet waste station with locking dispenser box and die cut sign. Order today from Great American! Plastic Paw Pal Station - Dog House Sign - No Fine Hurry - Introductory low prices! BRAND NEW! A new look for pet waste! Hurry - Introductory low prices! Holds ANY competitor's dog waste bags! Introducing our newest money-saving pet waste station. All our plastic stations are made from heavy-duty, durable plastic and will help keep your property clean. The die-cut sign is a new way to catch residents' attention and get them to pick up after their pet. The all-weather plastic stations are guaranteed for at least 5 years, or we will replace your station for FREE! Less refills - more bags! NEW - 100% Recycled Bag! 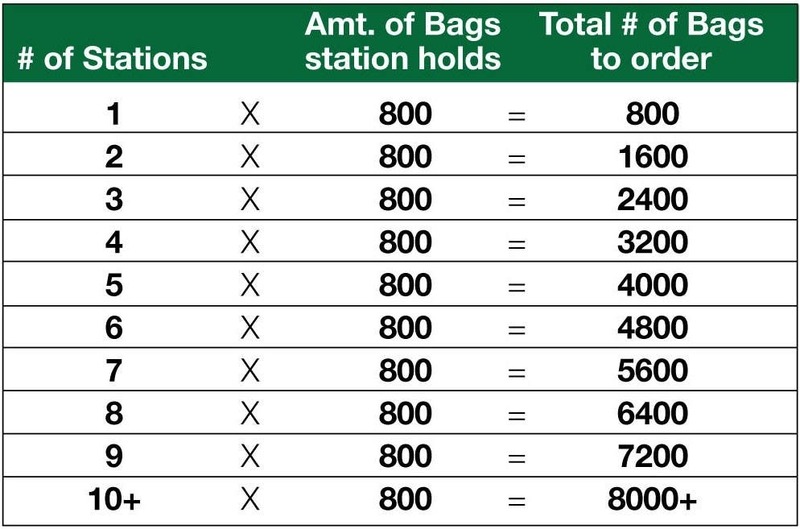 Plastic Station + 2,000 bags!